Unanimous praise and sensational international sales greeted Carol Beckwith and Angela Fisher's monumental two-volume African Ceremonies, published by Abrams in Fall 1999 and currently in its fourth printing. 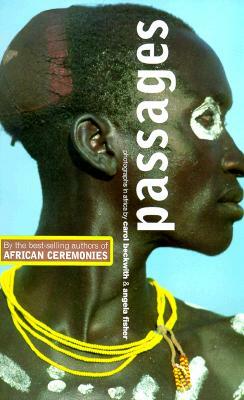 Now, this dazzling and affordable paperback presents 89 images from African Ceremonies, all of which will be exhibited at the Brooklyn Museum of Art, New York, beginning in July 2000. These dramatic, intimate photographs of authentic African rituals, spanning the entire continent -- the distillation of 30 years of research and travel -- provide what may be the world's last look at remarkable rites of passage from birth to death, including seasonal rituals, the power and drama of royal courts, and religious ceremonies. With text by the photographers, this "masterwork" (International Herald Tribune) is now accessible to a wider audience. Description: Covers show light scuffing only, edges and corners are clean and sharp. Text/interior is unmarked in any way and in excellent condition with huge full page -- often double page photos. 122 pages.